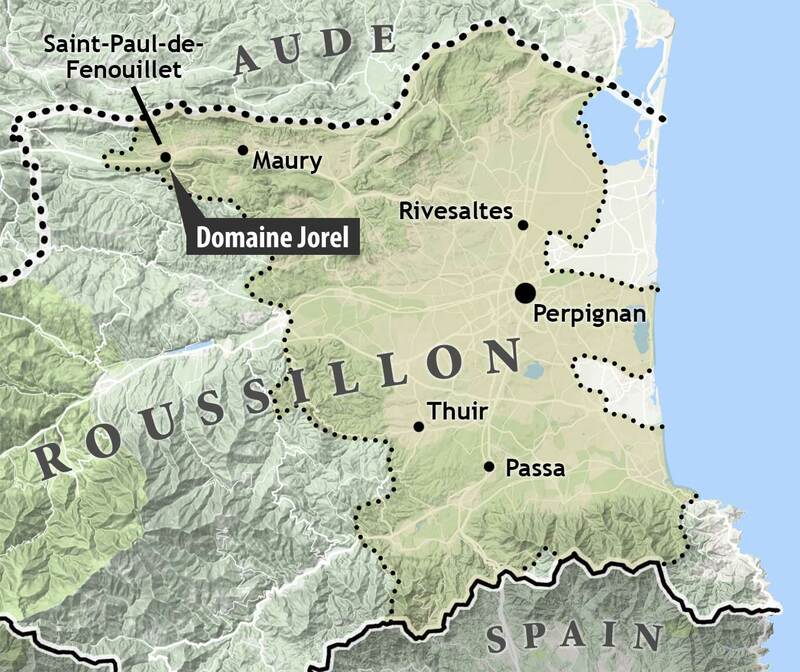 Manuel Jorel established his tiny domain in 2000 on the western edge of the upper Agly Valley in Roussillon. 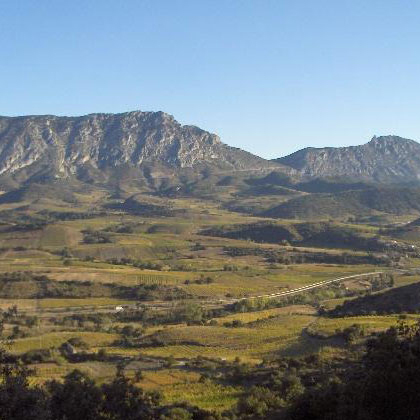 He began with the purchase of a few parcels of very old-vine Macabeu in Maury and has slowly expanded his holdings to include old-vine Grenache and Carignan, as well as Mourvèdre, Malvosie (Tourbat) and Muscat de Alexandria in neighboring Lesquerde. 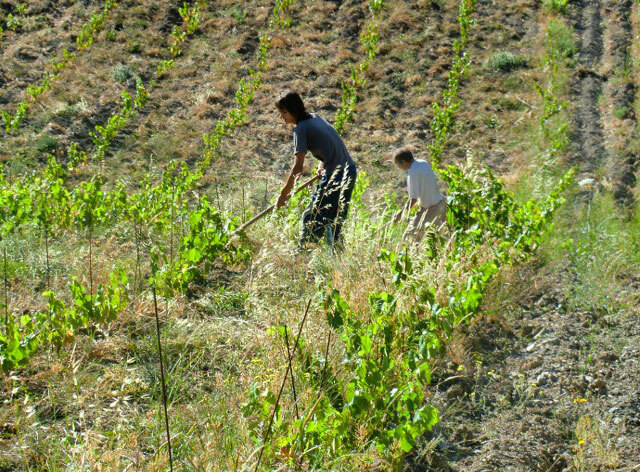 The vineyards now stand at just seven hectares; everything is done "by hand." Jorel vinifies the wine in the converted cellars below his adoptive home, a former grocer’s shop down the narrow Rue Arago in Saint-Paul-de Fenouillet, west of Maury. 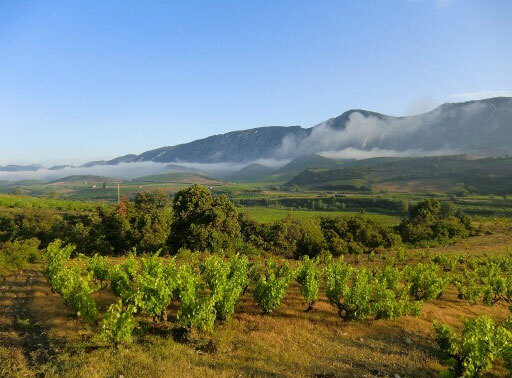 While the thoughtful and humble Jorel eschews such terms, production is "organic" and farmed with the belief that minimal inputs, both in the vineyard and in the cellar, result in the highest-quality wines. 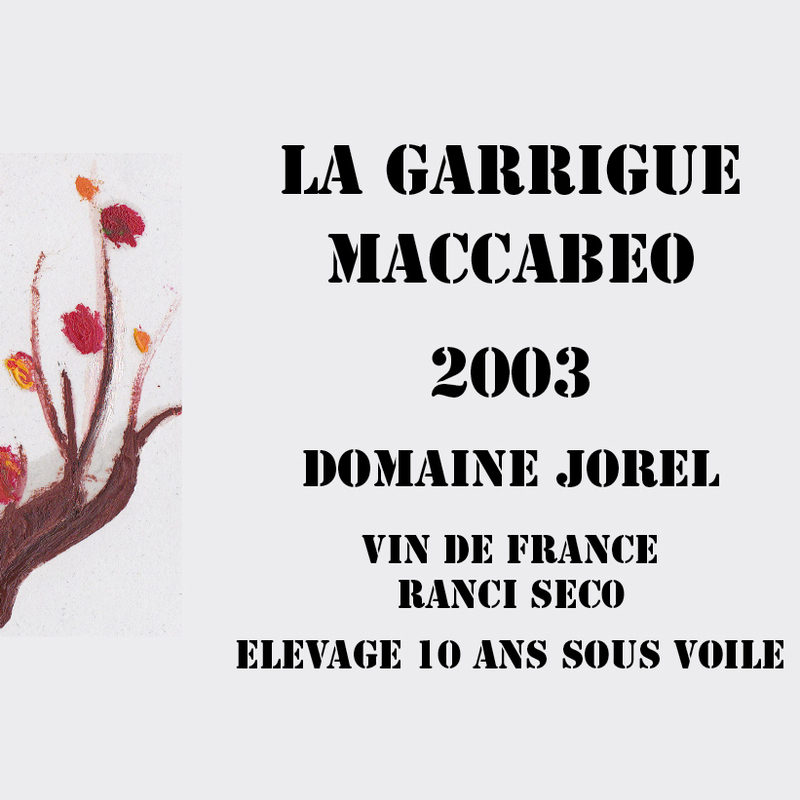 His 2003 "La Garrique" Rancio sec is a testament to that approach.